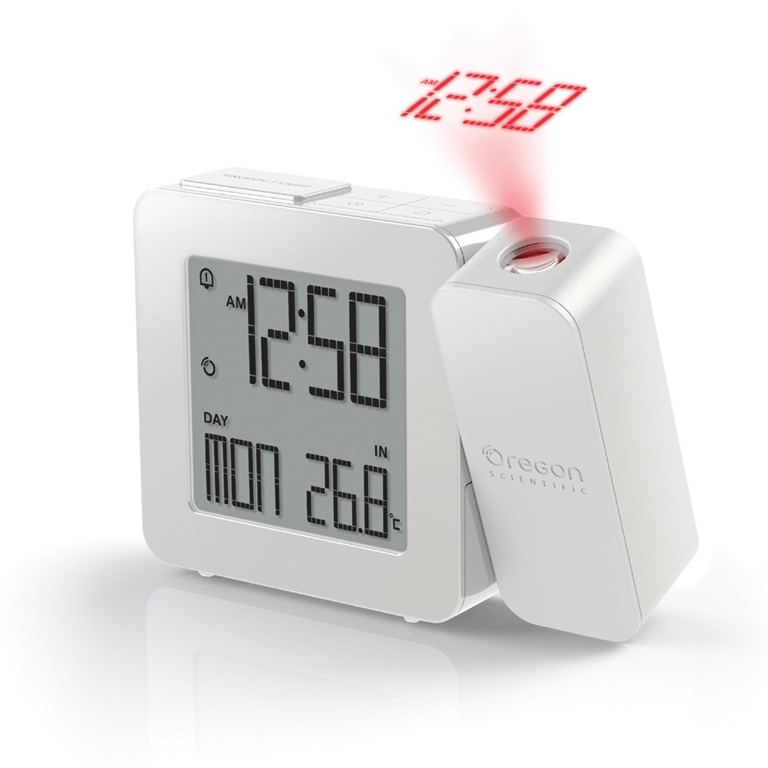 Oregon Scientific RM338PA-W PROJI Projection Clock with Dual Alarm - White radio-controlled clocks are both easy to read and operate. The LCD screen displays the current time, day and indoor temperature in large font making a quick glance at the time, easy. strong projection. Great clock. Love it!